This entry was posted in Police, technology, Transportation and tagged texting and driving. Bookmark the permalink. People use Snap Chat a lot while driving. They’ll take an eight second video while driving and send it. I honestly had no idea, and I do it all the time. Thank you and sorry you had to teach us all this lesson because of your own experience! If you get a phone carrier for the dashboard you can actually speak into waze and avoid being hit with that huge fine. If you pull over to text, I believe you must shut off your engine. If its running, it’s the same as being at a stop light. I think making a phone call too from the side of the road with the engine on is also still an offense. Crazy right? What about European cars with auto shut off options once you stop? Are you ok to check your phone since your engine is off? I didn’t know that either but I guess it is safer for all. I know a lot of people do it because I have had to lightly beep the person in front of me at a light quite often. For the Post Road for sure. Be Safe…. Is drinking water while driving (or at a stop light) illegal? I do it all the time. Since I don’t have an iPhone I can’t plead guilty to the other offenses. I didn’t get busted, Susan. As noted in the first line, the story is from a reader. Whew! I too have done that, no more. I didn’t know either. I do this a lot. Thanks!! Yes, I found the same thing out in Jan 2012 trying to find a Super Bowl gathering. Sitting at a red light is NOT ok. When I fought the ticket the ADA for Bridgeport Court said keys in the ignition on the side of a road was no good either. Use bluetooth hands free or park on side of road with keys on floor. I think it depends on the state. For example in New York I believe the law against using a phone is while the car is in “motion.” There are so many gray areas. Many cars have built-in navigation that allow address entry even while the car is in motion. That is just as dangerous as plugging an address into Waze. Waze at least recognizes the motion and asks if you’re the passenger before allowing entry. Officers also use discretion when deciding to ticket someone – eg driving 5 miles over the limit vs 20. The issue I have is people using their phones while stopped at a light and not noticing when the light changes! This is particularly annoying when in a turning lane, the arrow turns green and the lead car doesn’t move, in enough time for the line-up of cars behind, to get through the light. Whatever the law, please be aware of the other motorists around you. I did not have anywhere near the number of red-light-turning-green delays in the pre-texting/smartphone era. I’d be richer than Bill Gates if Ihad a penny for every time I had to blow my horn at a light because the person in front of me was on their phone! 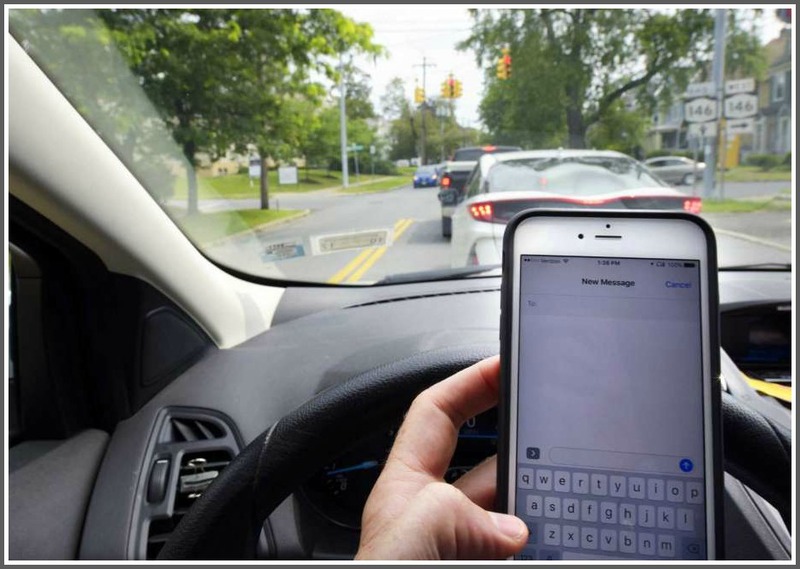 I think a warning for this at a red light might be appropriate….that said…I think texting WHILE DRIVING should be a 6 month’s suspension and a $1,000 fine first offense…double for the second. Talking on hand held half that. No mercy….. Hang up and drive. To setup voice activation with Waze, first open the app and go into Settings. Select “Sound & Voice” and then “Talk to Waze.” Finally, toggle on “Listen for OK Waze.” Then next time you say “OK Waze,” the app will respond so you never have to take your hands off the wheel using voice commands in Waze can help keep your eyes on the road by enabling you to start navigation, report traffic conditions, and more using only your voice. So, since my radio is not handheld I can keep playing with it all I want and not be ticketed. Good information.. But I never text much. Especially in a vehicle. Driving or not. They need to change the law to make it legal pull over to a safe space, put it in park, and interact with your device. The idea that you can’t do that with the car running is absurd.